A view from China. "Absurd." The wonders of democracy. The US is the current imperial power in the region while France and Britain are the former imperial powers there. Not like the US has not done this before with almost disastrous consequence, MeGovern explains, providing a historical reminder. Now US leaders are tempting fate again. Consequences of monetary versus fiscal policy — asset appreciation versus economic stimulus, enriching asset owners but leaving workers out in the cold. Monetarism versus Keynesianism. The shoe drops. The US deep state will be apoplectic over this. For one thing, guilty verdict would exonerate Snowden. Ten organizations – including Privacy International, the American Civil Liberties Union, and Amnesty International – are taking up the landmark case against the U.K. government in the European Court of Human Rights (pictured above). In a 115-page complaint released on Thursday, the groups allege that “blanket and indiscriminate” surveillance operations carried out by British spy agencies in collaboration with their U.S. counterparts violate privacy and freedom of expression rights. The case represents the first time Europe’s top human rights court has been asked to consider the legality of surveillance exposed in the Snowden documents. Its judgments are legally binding and could potentially have ramifications for how surveillance is conducted within the U.K.
Luckily, Kudrin has no operational role. Russia will have to triple the volume of loans in 2017, head of the Center for Strategic Research (CSR) and ex-Finance Minister Alexei Kudrin said in an interview with the Rossiya 24 TV channel as part of the Sochi-2016 International Investment Forum. "It will be necessary to increase borrowings anyway, even next year we will have to take three times more than this year, but when the reserve fund becomes empty, we will have to borrow even more," Kudrin said. At the same time he noted that "this policy can be only temporary." "That is why it will be necessary to cut deficit and cut borrowings. But in these conditions it is necessary to take funds to solve these current issues," Kudrin said. He did not say exactly what borrowings he was talking about. Kudrin has suggested that certain social budget expenditures on the so-called Presidential ‘May decrees’, including the one implying a raise in wages to public sector employees, should be postponed in order to bring the budget into balance. The US is going to sharpen its military edge in the Asia-Pacific region in connection with growing concern about China’s military building up there, US Defense Secretary Ashton Carter said on Thursday. “The United States will continue to sharpen our military edge so we remain the most powerful military in the region and the security partner of choice,” Carter said. So let's add this up. The US is preparing for war with Russia and China while also engaged in the GWOT. This implies that the "defense" budget has to expand considerably. Riley Waggaman —This Is Not a Drill: NYT Editorial Board Lays Groundwork For War With Russia. Can't Wait! Riley Waggaman specializes in dark humor. Today, the NYT gets the richly deserved brunt of it. This Is Not a Drill: NYT Editorial Board Lays Groundwork For War With Russia. Can't Wait! The saker games "plan B" for the US and the Russian response. What's at stake? Only WWIII. Growth is the result of economic liberalism. Democracy is about social and political liberalism rather than economic liberalism. There is a tradeoff between growth and fairness. Economic liberalism promotes growth, while social and political liberalism promote fairness and reciprocity. Capitalism as an expression of economic liberalism is antithetical to democracy as the basis for social and political liberalism. Achieving grown and fairness requires optimization of goals based on opposing values. Maximizing growth leads to a decline of fairness and reciprocity social and politically, which now goes by the term "inequality." The World Bank approvingly notices "disruptive theory" in macroeconomics. This year marks the 10th anniversary of Eric Beinhocker’s influential book The Origin of Wealth: Evolution, Complexity, and the Radical Remaking of Economics. Like an earthquake tremor, Beinhocker’s book rattled the windows of the economic establishment by proposing a new foundation for the discipline that was paradigmatically different than its current foundation inspired by Newtonian physics. Along the lines that Warren Mosler proposed some time ago. Interesting look at US and Russian military policy. Accordingly, Alexandrov suggested that US lawmakers' proposal is based on the understanding that a nuclear war is unwinnable, and to try to trick Russia into abandoning its established doctrine. "In essence, the US is repeating the technique of Leonid Brezhnev's Soviet Union, which unilaterally renounced the first use of nuclear weapons. This was done because at the time, the USSR had a significant superiority in conventional forces over NATO. As a result, the use of nuclear weapons was judged to be disadvantageous, since all of Western Europe could be captured without their use. In that situation, it's worth noting, NATO banked on the use of tactical nuclear weapons, which became a deterrent against possible Soviet attack." Today, Alexandrov noted, the situation has been flipped on its head. Russia can no longer resist the combined might of NATO in a long war using only conventional weaponry. "Therefore, since the 1990s, our doctrine provides for the possibility of using nuclear weapons first in case of a serious threat to Russia's national security." "Thus, the Democrats' initiative is aimed at achieving strategic superiority over Russia, and possibly China," the analyst suggested. "Of course, Moscow should not give in to this kind of demagogy. Russia must continue to retain the right to use tactical nuclear weapons first," he emphasized. Ultimately, Alexandrov noted, Russia has already taken the necessary measures to move to a new generation of nuclear weaponry, from the Iskander tactical missile complex and the Kh-101 strategic cruise missile, which has a range of 5,000 km, to new ballistic missiles capable of overcoming US missile defenses. "All of this has forced the US to maneuver in this way, and to try to outplay Russia in the nuclear field," the analyst concluded. Graham Fuller talks some sense. Now let’s look at the other end of the spectrum. 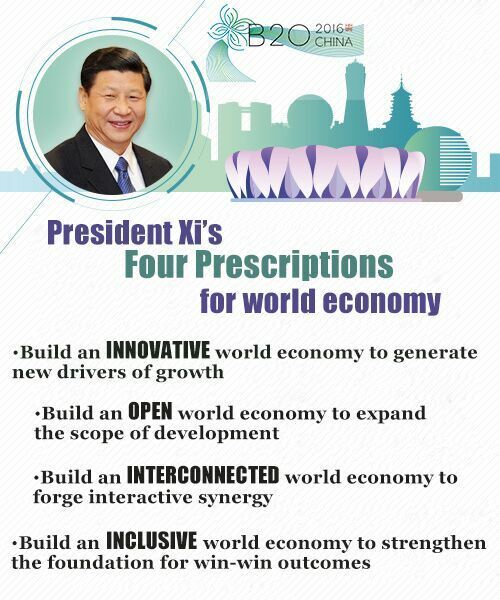 It’s interesting that China today is actually quietly touting to the rest of the world its own evolving system. Of course we recoil from the terrible catastrophes of Chinese regimes over most of the past century. But we shouldn’t lose sight of the fact that China has been concerned with principles of good governance going back some three thousand years, including Confucian principles of the responsibility of “cultivated” or educated people to govern wisely; that was probably as good as it got in that era. More important, the state bureaucracy was selected through massive nation-wide examination systems to choose the most qualified. The system had its good periods and bad, almost on a 300 year cyclical basis—breakdown and restoration. Now, I don’t want to live in China particularly. But consider the daunting challenges of running this country: one that was left behind in the last century or so, invaded by English and Japanese imperialists, massively misruled under fanatic communists (not all were fanatic) for fifty years, and now presides over a population approaching 1.4 billion people. China’s leaders operate on the razor’s edge: meeting pent-up demand after decades of deprivation, managing the transition of millions of peasants who want to come to the cities, feeding and housing everyone, maintaining industrial production while trying to reverse the terrible environmental damage wrought in earlier decades, to maintain stability, law and order while managing discontent that could turn violent, and to maintain the present ruling party in power to which there is no reasonable alternative as yet. That’s quite a high-wire act. So if you were running China today, what would you advocate as the best policies and system to adopt? Chances are few of us would simply urge huge new infusions of democracy and rampant capitalism. The delicate balance of this frail recovering system needs to be guided with care. But it is basically working—as opposed to looming alternatives of chaos and poverty. China today suggests to developing countries that China’s own model of controlled cautious light authoritarian leadership—where leaders are groomed over decades up through the ranks of the party— may be a more reliable system than, say, the bread and circuses of the US. That’s their view. No one system has all the answers. But it’s worth observing that by now the US probably lies at one extreme of a political spectrum of bread-and-circus “democracy.” Can the system be reformed? Ever more serious questions arise about the present system’s ability to meet the challenge of this century—along multiple lines of measurements. And, as world gets more complex, there is less room for radical individualism, whistle blowing, and dissent. Vital and complex infrastructural networks grow ever more vulnerable that can bring a state down. The state moves to protect itself. The strengthening of the state against the individual has already shifted heavily since the Global War on Terror and even more so under Obama. I’m not suggesting that China is the model to be emulated. But we better note how it represents one rational vision of functioning governance of the future—under difficult circumstances—at one end of the spectrum. The US lies at the other. Is there anything that might lie somewhere between these two highly diverse systems of governance? In the spirit of disclosure, this is a view that I have espoused previously so I am biased in its favor. I am happy to see someone "on the other side of the fence" putting it forward for consideration in the policy establishment. Last week, the US Congress approved the Stability and Democracy for Ukraine Act, or “STAND for Ukraine.” As the Ukrainian Embassy in the US has reported, American congressmen unanimously supported the bill. The bill’s list of means for supporting democracy in Ukraine includes the supply of lethal defensive weapons systems. The legislation will come into force following a vote in the Senate and its signing by the US President. From that point on, Washington will be able to officially supply lethal weapons to Ukraine. Simon Wren-Lewis — Why was austerity once so popular? A pretty good one. It argues indirectly for the need to educate voters that the currency issuer is the mirror image of the currency users, so their accounting statements are complementary rather than similar. Government deficits are non-government income and government debt is non-government net financial wealth in aggregate. Greg Mankiw betrays his astonishing ignorance of monetary economics and the institutional structure of international finance. He thinks that the capital markets set US interest rates and determine the yield curve, so a shrinking trade deficit would reduce buyers of US Treasuries, driving up interest rates across the yield curve. But of course you can't model an economy just using the national income accounts identity. Even a freshman at the end of ec 10 knows that trade deficits go hand in hand with capital inflows. So an end to the trade deficit means an end to the capital inflow, which would affect interest rates, which in turn influence consumption and investment. As Professor Mankiw observes, this is a freshman error, and is he the one making it! Apparently he cannot distinguish between a model with simplifying assumptions and the real world. The good professor is describing a the world as he would like it to be, not the way it actually is at present. Furthermore, the Fed has the capacity to manage the amount of settlement balances in the settlement system so that all transactions clear. When the Fed is not paying IOR and doesn't choose to set the rate to zero, then it sets its target and lets quantity float, by using open market operations, for example. There is nothing wrong with Professor Mankiw's model as an economic model. However, it is not representational model of way the real world works. While it might have relevance as a teaching gadget, students would be given the wrong idea if they were lead to conclude that the world works like that. As far as I can see, there is no entirely plausible scenario on the table this far. There is also no scenario that has a plausible account of both motive and execution of a plan. However, the situation is complicated by several factors. All the evidence available has not been revealed publicly for examination and likely will not "for security reasons." Secondly, the investigation was compromised by a party to events with a stake in the outcome of the investigation being included as a member of the investigative body. Robert Parry suggests why the recent report is more disinformation in the ongoing information war. There are more reasons that Parry lists. Michael Brenner | Professor of International Affairs at the University of Pittsburgh and a Senior Fellow at the Center for Transatlantic Relations, SAIS-Johns Hopkins, Washington, D.C. Compare and contrast US police with China's police. As John Locke wrote in An Essay Concerning Human Understanding…. Science is a competition of ideas in an arena where evidence is the final arbiter. Yeah but oil..... was.... at... $140... oh never mind. Fed will interpret as "dove-ish!". The recent North American steel price recovery has proved short-lived as regional values continued their downward trajectory, this month. The sustainability of the recent price rises, in the US, hinged upon supply-side considerations. The introduction of import barriers on a number of flat products initially supported the domestic producers. However, steel imports, into the US, are steadily rising, month-by-month, from countries not covered by the trade cases. The restrictions are unlikely to be strong enough to reverse the negative price tendency that exists currently. Data from FactSet. Should not be surprising. I don't wish to draw any conclusions from the recently released report about the shoot down of MH17. First, the report proves no actual evidence but only refers to evidence. That evidence was proved by the Ukrainian government from military and intelligence sources. Secondly, Ukraine was a participant in the investigation even though it was a party involved. However, Karlin offers a plausible account based on facts that are known and filing in some details. An account has to provide a motive. There is no plausible motive for either Ukrainian rebels or Russian personnel deliberately targeting a civilian aircraft. First, MH17 was diverted to fly over contested airspace. Second, it is known that MH17 was being trailed by two Ukrainian Su-25′s. (Some conspiracy theories allege that they were actually the ones who shot it down). An alternate possibility, however, is that the Su-25 escorts and possibly the diversions were an intentional Ukrainian policy to increase the chances of an AA missile fired by an inexperienced rebel crew bringing down a civilian airliner. After drawing out the missiles, the Ukrainian fighters would engage their counter-measures and fly off, while the missiles would autonomously home in on the target with the much bigger radar signature – that is, MH17 itself. The resulting fallout would hopefully pressure Russia into withdrawing support for the rebellion. Frankly this is the theory I consider most likely because it is more or less the only one that explains all aspects of the case. It explains why the Americans have no released their intelligence. If it was to show the Su-25′s were directly or almost directly below MH17 then questions would be asked. It explain why we have not seen a consistent or credible alternate theory from Russia. Because there is none. While if it where to push this theory it would then have to admit that at the it is to some extent culpable. Nor would it in any case qualify as an act of terrorism. It cannot qualify as an act of terrorism because as phone conversations between the rebels in the immediate aftermath prove, and as the US itself has admitted, the shooting down of MH17 if done by the rebels was based on the mistaken impression that it was a legitimate military target. The lawyer for the victims families reminds that Ukraine was responsible for its air space, and it knowingly diverted the aircraft into a conflict zone on its territory. “Our argument is that the Ukrainian government was completely aware of what happened on the ground, that there was a separatist movement. They obviously knew about the equipment they had. That the equipment could reach higher altitudes, because the government closed the airspace two days before the downing of MH17. It closed the airspace after the level of 6,600 meters which is not enough because given the size of the danger the whole airspace should have been closed,” Elmar Giemulla, the victim’s lawyer and leading expert on air law told RT. When asked by RT correspondent Paula Slier if Ukraine “could be to blame” for the MH17 tragedy, Giemulla emphasized that “whoever shot or pushed the button of the missile – this is not relevant for my case,” because the aim of the lawsuit is to create a strong precedent in international civil aviation making government responsible for sky safety over its territory, the lawyer said, adding that “of course” the relatives of the victims want to find the responsible party as well. Giemulla’s comments come the same day as a Dutch-led Joint Investigation Team (JIT) report concluded that the Buk missile that was allegedly used by the rebels in Ukraine to take down the Boeing was taken to Ukraine from Russian territory. Paul Craig Roberts and Michael Hudson — Can Russia Learn From Brazil’s Fate? … Brazil’s financial openness made Brazil an easy target to attack. One might hope that Vladimir Putin would take note of the cost of “economic openness.” Putin is a careful and thoughtful leader of Russia, but he is not an economist. He has confidence in neoliberal Elvira Nabiulina, Washington’s choice to head the Russian central bank. Nabiulina is unfamiliar with Modern Monetary Theory, and her commitment to “economic openness” leaves the Russian economy as exposed as Brazil’s to Washington destabilization. Nabiuina believes that the assault on the ruble is due to impersonal “global market forces,” not to Washington’s financial clout. Nabiulina, an indoctrinated and propagandized neoliberal, is essentially a servant of Washington, not that she is aware of her role as “useful idiot.” She delights in the applause she receives from the Washington Consensus for leaving the Russian economy open to Washington’s manipulation. Being a neoliberal, she does not understand that Russia’s central bank can create at zero cost the money with which to finance productive projects in Russia. Instead, she thinks that the money entering the economy from the central bank is inflationary, but the money entering the economy from foreign sources is not. Money is money regardless of whether it is made available by the central bank or by foreign creditors. As long as the money, whatever its source, is used productively, the money is not inflationary. There is a huge difference between the money created by the central bank and the money created by foreign creditors. Money lent by foreign banks in the form or US dollars or euros must be repaid with interest in the foreign exchange in which the money was lent. Money created by the central bank to finance public infrastructure projects does not have to be repaid at all, much less with interest and in foreign exchange earned by exports…. Hans-Werner Sinn — Secular Stagnation or Self-Inflicted Malaise? Hans-Werner Sinn calls for "creative destruction." Creative destruction = liquidation. As Sinn recognizes, it would blow up the EZ. Well, that one way to do it. The Pentagon’s orders on this issue come from the highest levels, including from the US President himself. For that reason it is no surprise that SOCOM’s pushback has not yet created any effect on the forthcoming strategy. Dissent in the ranks between the people that do the fighting and dying and the political people. The Neoliberals, the Neocons, who now call themselves the Liberal Interventionalists, have behaved so badly over the years, crashing our economy, bailing themselves out, or rather, helping themselves to our money, that maybe most people are now cottoning on to the con. The populist right - as represented by people like Alex Jones, the libertarians - like Ron Paul and AntiWar.com - as well various left and liberal groups have all had enough of it. And MMT, the Keynesians, and many other economists are all showing how standard economics doesn't work, and is probably just another con to enrich a tiny few. And now the new trade agreements along with the vulture funds have given US finance an even worse reputation than it already had. Everything stinks! Bernie Sanders started a new movement, it's going to carry on. Nevertheless I am here to suggest to you that, despite the fact that the war state with all its private allies appear to be riding as high as ever, the historical circumstances may now be favorable to a frontal challenge to the war state for the first time in many year. I'm still having loads of problems with the Windows 10 update, so this was the best I could get this article to look today. I shall revert back to the older build soon. To borrow a phrase from Leon Trotsky, the situation in Ukraine is ‘neither war nor peace’. The poll suggests that this is no accident. Ukrainians have no great appetite for war, but they are unwilling to take the steps required to bring peace. If they have ended up with something in between, it is because that is what they appear to prefer. As Nezavisimaia Gazeta concludes, Ukraine’s president Petro Poroshenko ‘cannot not take these circumstances into consideration’. At this stage, therefore, a major change in Ukrainian policy is unlikely. Minsk 2. 0 is dead in the water. Jason Furman obfuscates. James Kwak explains. MH17 conclusion in, results as expected. The Rooskies did it. Bill is hot these days. After all the hoopla last year with the rise and fall of Syriza one’s attention span strays from what is happening in Greece at present and how it demonstrates the continued (and permanent) failure of the Eurozone. We also become inured to badness after badness is normalised. I was reminded of the depth of the malaise in that nation last week when I was in Kansas City. I won’t disclose confidences but an influential person (in the Greek context) I spoke to now regard their previous support for remaining within the Eurozone as a mistake and they consider my assessment of the situation (which they opposed at the time) to be closer to reality. That was an interesting conversation and credit to them for being able to recognise an error of judgement. I was also reminded of the absurdity of the Eurozone when the IMF released its latest – Greece: Staff Concluding Statement of the 2016 Article IV Mission (September 23, 2016). This is normalisation of badness in bold! The current thinking is that the Greek unemployment rate will remain in double figures until at least 2050, that business investment has collapsed, real GDP is around 27 per cent below its pre-GFC level – and – more significant and accelerated austerity is required. If an organisation can exhibit psychopathy then the IMF has it! On June 22, 2016, there was a press report – Greek Labour Minister Katrougalos says IMF wants ‘blood’…. Everybody knows its "survival of the fittest" and looks like Switzerland gets the message; what's wrong with the ROW? We will monitor this one over the next week to see if these scientists update their predictions over time due to changing conditions... or rather act like our economic policymakers and stand pat on their original prediction even in the face of changing conditions. Systemic risk associated with teetering Deutsche Bank. Looks like Poklonskaya was handpicked to move up the political chain. Deutsche Bank is teetering. Lehman? Creditanstalt? Simple argument to pass along your out of paradigm family, friends and acquaintances. It is an unstated central bank policy in many parts of the world to reduce the value of their currency to below its fair value. The reason for doing so is 'competitiveness'. A weaker currency means lower global prices for your goods and hence increases your exports, while at the same time reducing imports. Since a fundamental equation of economics says that GDP = C+I+G+X, or consumption plus investment plus government expenditure plus net exports; it would appear self evident that an increase in net exports would increase GDP. This is, unfortunately, completely wrong. There are two ways that it is wrong, both pretty fundamental…. This is Part 5 in the mini-series discussing the relative merits of the basic income guarantee proposal and the Job Guarantee proposal. It finishes this part of our discussion. Today, I consider how society establishes a fair transition environment to cope with climate change and the impacts of computerisation etc. I outline a coherent adjustment framework to allow these transitions to occur equitably and where they are not possible (due to limits on worker capacity) alternative visions of productive work are developed? I argue that while work, in general, is coercive under capitalism, the provision of employment guarantees is a more equitable approach than relying as the basic income advocates envision on the exploitation of some to provide the freedom for others. Further, I argue that the Job Guarantee is a better vehicle for creating new forms of productive work. Adopting a basic income guarantee in this context just amounts to surrender. Our manuscript is nearly finished and we hope to complete the hard edits in the next month or so and have the book available for sale by the end of this year. More information on that later. Oil rent removal continues apace... economorons at Fed probably think they will have to go negative. David SloanWilson, SUNY Distinguished Professor of Biology and Anthropology at Binghamton University and Arne Næss Chair in Global Justice and the Environment at the University of Oslo interviews Trevor Pearce, Assistant Professor of Philosophy at the University of North Carolina at Charlotte. Noah Smith is becoming a better economist after leaving academia for the media. He is becoming an institutionalist, perhaps without realizing that this is an area that has been explored. This was originally tagged onto my last post which spoke about Bhutan Buddhism, but I decided to make it into a separate post. I'm not sure if it is the right thing for this site, but I think Mike Norman wanted a wider range of topics so I thought I throw this in and see. I think it is relevant because in my opinion Western society is not very well. I'm beginning to think that our society can bring unhappiness because the never ending pursuit of status and material things can bring about not only boredom, but also distress. I used to have an A type personality always at work, and I searched for pleasure by acquiring more and more things. Acceptance and Commitment Therapy (ACT) was developed by scientists and psychologists whose research showed that it is very difficult for many people to feel happy, at least for significant amounts of time. It is a mindfulness based behavior therapy, which is distinctively different to Cognitive Behavior therapy, (CBT), or even mindfulness based CBT. It is an active, get out and about and do things therapy, but this is done very gently because distressed people are often very easily overwhelmed. For many people happiness tends to be fleeting, where we all desire more things and it never feels like we have got enough. We always want a better job, a bigger house, better car, more money, more promotion, more romance, etc. So we work harder and harder and strive for more and more until in the end some people's only momentary pleasure comes only from a bit of wine in the evenings, or a few beers at the weekend. And now one in ten people are on antidepressant medications. As the scientists developed ACT they realized how close their therapy was to Buddhist teaching. Their research showed that one of the reasons humans have conquered the world is because we always want more and are never really fully satisfied, and so this led to striving, but this can also lead to unhappiness and discontentment. The Buddhists discovered this centuries ago. ACT also showed that the way we deal with outer reality does not work with inner reality. We tend to be very practical creatures and if we are not happy about something we will go and alter it, like cut down a tree if it is blocking all the sunlight from entering our house. But if we have unwanted thoughts and feelings we don't like we can't just make them go away by forcing them out of the mind, which actually makes them come back more. Try your best to not think of water melons for the next five minutes. Make sure no thoughts of water melons ever enter your mind. The ACT practitioners found that through acceptance of negative, unpleasant feelings and thoughts we can reduce fear so that then some peace, contentment, and happiness are more likely to develop. This can bring about healing. But accepting things to try to make the pain go away doesn't work because that is not true acceptance. Buddhism is all about 'radical acceptance' and non-striving - although you still work hard (if you want to), go to college and get good grades, excel at sports, etc, it's just done with a different attitude with far less perfectionism. ACT can also help people cope with chronic, physical pain and it has been shown that mindfulness and acceptance actually changes how are our brains are wired which reduces the sensation pain. Steven Hayes is the founder of Acceptance and Commitment Therapy. Tshering Tobgay: This country isn't just carbon neutral -- it's carbon negative. Bhutan is a Buddhist country that brings healing to its people and to our world. The West needs to find a new way to happiness. At the moment it is run by psychopaths. As I had predicted some time ago. This lady has a political future and it lies in Moscow rather than Crimea. The crooks had better watch out if she stays true to form. She could become the tip of the spear in an anti-corruption drive. She has the moxie and the cred. She is likely to be something like the Elizabeth Warren of Russian politics as she assumes her seat in the Duma. Patrick Armstrong — Bellingcat proves the Russians didn't do it. More disinformation. Read the comments, too. President Obama should take a cue from Harry Truman's firing of wildly popular war hero 5-star General Douglas MacArthur for insubordination in questioning the presidents orders as commander-in-chief. Moon of Alabama — Todenhöfer: Interview With Al-Nusra Commander "The Americans stand on our side"
Moon of AlabamaTodenhöfer: Interview With Al-Nusra Commander "The Americans stand on our side"
Gordon Duff is not a reliable source in the opinion of many, so I usually do not post what he writes. The following post is inflammatory, but it has an element of truth to it. In fact, Scott Adams suggested that this element was the basis of jihad recruiting and the issue is really based on Islamic sexual repression. Anyway, make of it what you want. Now, reports are emerging that Israeli Mossad agents and other foreign military officers were killed in Aleppo on Tuesday in a Russian missile strike fired by Russian warships. On September 22, 2016, Russian and Iranian state media both claimed some “30 Israeli and Western officers” died when they were hit by three Kalibr cruise missiles fired by Russian warships in a “foreign officers’ coordination operations room” in western Aleppo, near Mount Simeon. According to the Arabic version of Russia’s Sputnik news, military officials from the United States, Qatar, Saudi Arabia, the United Kingdom and Turkey were also killed in the strike. These countries are staunch members of the anti-Assad alliance, and as a result, it isn’t surprising to learn their agents might have been on the ground in Syria. As reported by the Times of Israel, at the time of this article’s publication, the Israeli government is yet to confirm or deny these reports. Thus far, only Russian and Iranian media have advanced the claim. More disinformation from the West about Russia in the ongoing information war. This is Part 4 in the mini-series discussing the relative merits of the basic income guarantee proposal and the Job Guarantee proposal. It is the ‘robot edition’. The march of the robots is the latest pretext that basic income proponents (including the IMF now) use to justify their policy advocacy. There is some truth in the claims that the so-called ‘second machine age’, marked by the arrival of robots, is not only gathering speed, but is different from the first period of machine development with respect to its capacity to wipe out human involvement in production. But the claims are somewhat over the top. Further the claims that these trends are inevitable are in denial of the basic capacities of the state to legislate in the common interest. While the innovations in technology will free labour from repetitive and boring work and improve productivity in those tasks, there is no inevitability that robots will develop outside the legislative framework administered by the state and overrun humanity (even if the predictions of robot autonomy are at all realistic). We will surely need to develop a coherent adjustment framework to allow these transitions to occur equitably and where they are not possible (due to limits on worker capacity) alternative visions of productive work are developed? In this interview, Jack explains that it is very important to recycle electric vehicle battery materials as we do not produce enough lithium, cobalt and spherical graphite to make even a fraction of the vehicles that Elon Musk’s Tesla plans to manufacture in the year 2018 alone. I quite liked this picture of this young girl who is full of hope, and it says that there can be peace in the world. It was taken from Think Process, a Democrat site. In the comments section underneath people were saying that Trump is a traitor. What baloney! He's a tough guy, and a patriarch. And like Reagan he could cut a good deal with Russia, and then put an end to ISIS. I can only think that Think Process is a Neocon funded site pushing 'right wing' neoliberal propaganda. There's two different right wings, the old guard conservatives, now doves, and the Neocon neoliberals, who are the liberal hawks, or Liberal Internationalists as they now call themselves. The Liberal Interventionists are using liberal values as a cover to push their ultra right wing hawkish politics, regime change, empire, and neoliberalism on the world. There's nothing liberal or left about them. I read the other day how the 'neo' part just refers to neo classical economics, it doesn't mean New Liberal. Following the collapse of the ceasefire, and with the forcible imposition of a no-fly zone for all practical purposes ruled out, the US found itself left with nothing other than Kerry’s absurd proposal that Russia and Syria impose a no-fly zone on themselves. The moment the Russians rejected this proposal – as they were bound to do – the US found itself left with literally nothing at all. It is this impotence to effect militarily the course of the battle of Aleppo – an impotence which British Foreign Secretary Boris Johnson has admitted – which is behind the furious denunciations we are now hearing as the US and its allies scramble desperately to try to get the Russians to call the battle off, saving their Jihadi proteges in Aleppo from total defeat and themselves from the humiliation of the public failure of their strategy. Another arms race ratchets up. The Indian military deployed a fourth regiment of 100 BrahMos missiles and five autonomous missile launchers in the North-Eastern state of Arunachal Pradesh disconcertingly close to the country’s border with China amid festering tensions between New Delhi and Beijing in large part based on China’s pledge to support its long-time ally Pakistan in the event of an attack. That's a lot of real resources going into weaponry. How are those sanctions working again? Earlier this month, a select committee of British parliamentarians released a reportwhich condemned the U.K. government under David Cameron for its role in the 2011 NATO intervention in Libya. The report makes plain that the principal basis on which the intervention was predicated – that then-Libyan dictator Muammar Gaddafi was on the verge of committing a wholesale slaughter of the rebel stronghold Benghazi – was a lie propagated by Western and Gulf State media outlets. Russians are dumbfounded that the West is oblivious to the fact that the Sunni "opposition" is committed to eliminating Christianity in Syria. The fact that a "Jesuit missionary" is even permitted in Syria says volumes. This is not permitted in countries under Islamic rule (sharia). … the U.S., ever at the beck and call of the Gulf State autocracies who are our actual enemies, Assad has became the target of regime change enthusiasts in the U.S. and Europe. Their designs have wrecked large swathes of Syria, resulted in an unprecedented migrant crisis, destroyed the lives of many millions, gave rise to ISIS and strengthened the very same Islamist radicals who attacked us on 9/11 and who remain the sworn enemies of the West. But then Danny says, something has gone wrong with this approach…. Important to be thinking about. The so-called liberal view is paradoxical in that liberalism is based on multi-polarity on one hand and on the other, opposing any view that self-styled "liberals" regard as threatening their conception of liberalism. In the first place, there are many conceptions of liberalism based on different mixes of social, political and economic liberalism. This results in many possible organizational configurations. America is just one of these and its success historically has depended more on America's place in history and historical accident than the determinative result of an organizational idea. The same conditions do not exists elsewhere, so it is unlikely that the American organizational model can be exported successfully to any great degree. Secondly, American "liberalism" based on "American exceptionalism" is itself a narrow form of liberalism. Based on what criteria can it claim to be"best"? American "exceptionalism" is largely imagined based on selectivity that is influenced by cognitive biases like nativism. American liberalism is unlikely to be accepted as a paradigm in a so-called liberal world that is open to multipolarity, for the simple reason that most of the world's people are not Americans and have their own viewpoints that have been shaped over millennia by history and culture. Lockean liberalism was largely born in 18th century England and exported to colonies, where it became the organizing idea behind the founding the United States of America. But British and American liberalism are different and have developed in different ways. Liberalism was adopted in Continental Europe subsequent to WWI and WWII, and again then result was hardly homogenous. America needs to get over itself and recognize that history is an organic process because it is an artifact of biological evolution as a complex adaptive system. Evolution is experimental and emergence is ongoing. Liberalism is a very recent phenomenon on the historical scene and it is far from established how viable it is as an evolutionary trait. There are pros and cons. Moreover, there are twists and turns based on the paradoxical nature of a liberalism as an organizing idea and the tradeoffs involved. Ok, a bit snarky, but that is the subtext and implication. The author apparently doesn't realize that moderate Sunni rejection of Wahhabism in the face of US support of its chief advocate, KSA, implies US support of KSA state-sponsored jihadi terrorism. And suggests that Vladimir Putin is attacking the US by rejecting Sunni extremism, which threats Russia directly since the Russia Federation has population of about 15 million and Islam has been established there since the 7th century. The idea that this is "geopolitics" is contradicted by the author's reporting. Ahmed el-Tayeb, the state-appointed grand imam of the Al-Azhar University in Cairo, was the event’s headliner. Although it has declined in recent decades, Al-Azhar was for centuries considered the most influential Sunni scholarly institution. Its head, known as the Sheikh of Al-Azhar, is by job description alone a major figure in the Sunni world. The world should be celebrating this amidst the calls for moderate Islam to denounce Wahhabi and Salafi takfirism and jihadism. Instead Bloomberg View bemoans that a US ally is being called out for it. Shame on them. Mulling over the debate under way about general equilibrium and macroeconomics, I picked up Paul Samuelson’s Foundations of Economic Analysis for the first time in ages. In the foreword to my 9th (1979) edition, he wrote: “In a hard, exact science a practioner does not really have to know much about methodology. … By contrast, a scholar in economics who is fundamentally confused concerning the relationship of definition, tautology, logical implication, empirical hypothesis and factual refutation may spend a lifetime shadow-boxing with reality. In a sense therefore, to earn his daily bread as a fruitful contributor to knowledge, the practitioner of an intermediately hard science like economics must come to terms with methodological problems.” Hmm. We have a lot of shadow-boxers, I fear. The Wells Fargo scandal shows how much the One Percent have captured the government and the media. Many services were privatized not to make them more efficient, but to be a revenue steam for the One Percent. Note: Windows 10 on my PC has just upgraded itself and it has made Blogger almost impossible to use, so I can't make the link active. Well, I managed to sort it out, but I have to use the Windows Edge browser from now on which is unsupported. Hopefully it will be okay. Graph: the capitalist coup that began in the 1970s was a response to a real crisis alternatively framed as a falling rate of profit and / or declining plutocratic control over Western political economy. Financialization shifted the balance of power back toward capital through the money system. Banks create money against separable liabilities. A rough analogy is the ability to take a loan against your neighbor’s house— you (connected capitalists) get the money and your neighbor’s house gets taken when you don’t repay the loan. The eventual result is that claims on economic production become increasingly concentrated as the economic system becomes unstable and destabilizing. Source: St. Louis Federal Reserve. The class war visible in the current political season was launched from ‘above’ in the 1970s by connected capitalists— inherited wealth with support from a committed managerial class, with the goal of regaining power and control over Western political economy. The promise, made against the actual outcomes of several centuries of Western imperial history, was of broadly shared prosperity gotten through the constrained self-realization of capitalist democracy. The actual outcome is broadly declining economic circumstance for most people, a tenuous prosperity for supporting bourgeois managers and a new Gilded-Age for the self-enriching class of corporate executives, inherited wealth and financial predators. Graph: while the promise of shared prosperity was held-by-degree by capitalists, corporate executives and their ‘useful idiots’ in academia when the capitalist coup was launched in the 1970s, by 2008 the evidence had accumulated to the point of being irrefutable— capitalism, economic imperialism posed as ‘free choice,’ is a catastrophe-generating mode of social organization that benefits a tiny minority at the expense of most citizens of the planet. Under the terms put forward by academic explainers of capitalism (economists), the existing system is only plausible during the brief periods of respite between recurring crises. The broad trend of economic decline suggests that social turmoil will mount until resolution is found. Source: St. Louis Federal Reserve.